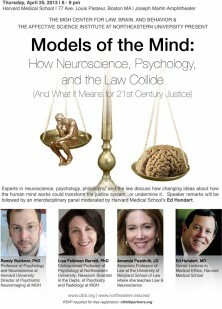 On April 25 at Harvard Medical School’s Joseph Martin Amphitheater, CLBB joined forces with the Northeastern University’s Affective Science Institute to host a conversation among experts in neuroscience, psychology, and the law about three distinct and sometimes conflicting views on the causes of human behavior. How do the three models understand cause and effect, attribute blame, and think about rehabilitation? Panelists included Lisa Feldman Barrett, Distinguished Professor of Psychology at Northeastern University and Research Scientist in the Departments of Psychiatry and Radiology at MGH; Randy Buckner, Professor of Psychology at Harvard University and Director of Psychiatric Neuroimaging at MGH; Amanda Pustilnik, Associate Professor of Law at the University of Maryland School of Law where she teaches Criminal Law, Evidence, and Law & Neuroscience. Ed Hundert, Senior Lecturer in Medical Ethics at Harvard Medical School, moderated a panel discussion and Audience Q&A following speaker remarks. 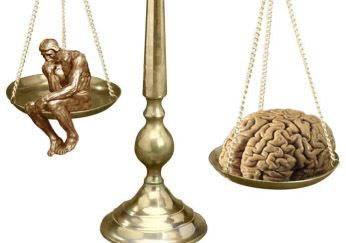 Watch the individual presentations below, or visit our “Models of the Mind” channel at Vimeo.com.